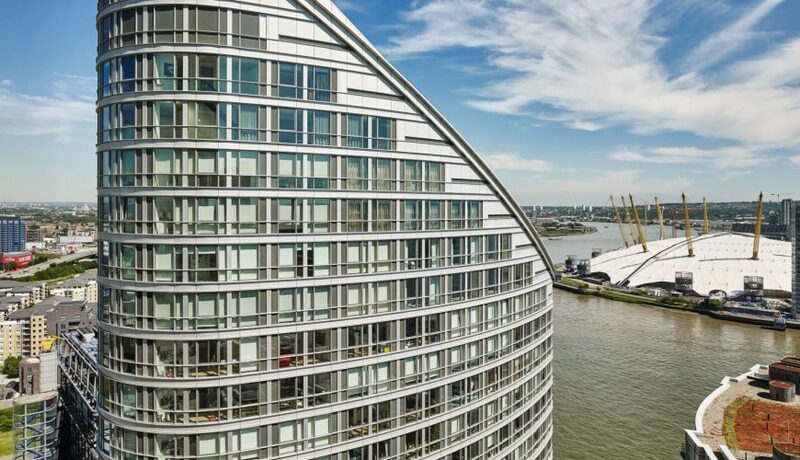 From the concierge who welcomes you in the lobby, the lovely views towards Canary Wharf and The O2 Arena arcross the Thames to the pamperigng facilities of the on-site Spa you will definitely feel the upscale living in this building. Although it’s almost 12 years old, there’s still that luxury feeling in it. The whole development has private securuty guards which make you feel safe at all times and keep you away from issues with noisy neighbours. The adjacent newly built Providence Tower has a lovely gym, Spa and pool which Ontario residents can access for free. This completes the offer from the located on the first floor Six Senses Spa by the Radisson hotel. Make sure that your flat has been properly maintained in the past and you should not expect any unpleasant surprises during your time in the building. 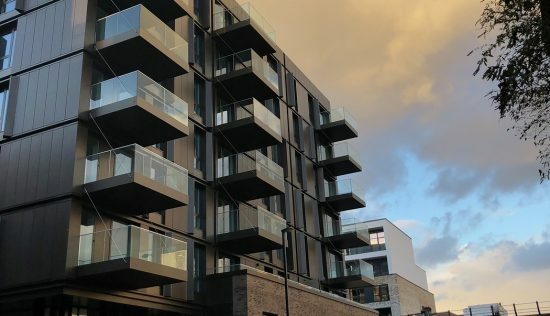 You can expect excellent transport connections too since the Blackwall DLR station is located just steps away and there’s also e bus stop right across the street from the building’s complex and from there Canary Wharf and Canary Wharf Tube station are easily accessible in a couple of minutes. The parking situation is a bit rough as it has limited access and it takes time find a spot to park your car. 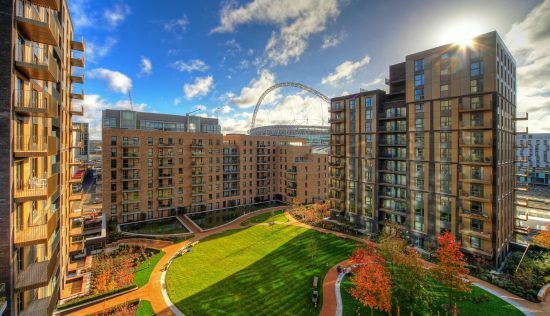 Great views across the Thames and the O2, beautiful apartments and great facilities in the best location. Looking a bit like a giant Alexa – it’s the blue LED rim – Ontario Tower isn’t in the heart of the Canary Wharf action, but it’s only a 15-minute walk away. Not the prettiest stretch of the Thames, right in front of the O2, and there’s a lot of construction going on as always. 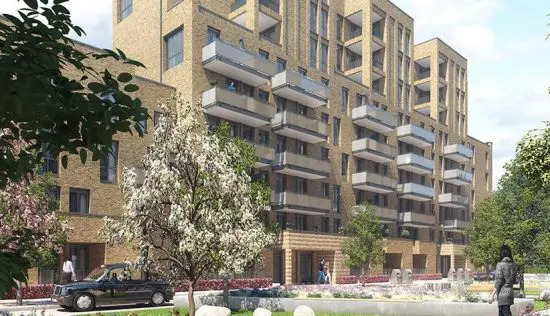 But it’s a decent price per square foot and this area is only going to get more popular with the Crossrail coming in this year. The distinctive 31-storey Ontario Tower is hard to miss on the Tower Hamlets skyline. 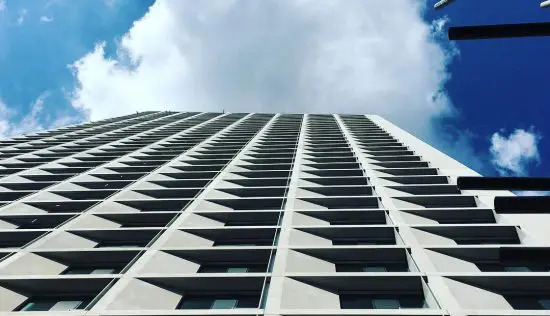 With its sloping roof and blue LED-rimmed crown, it’s no surprise to hear that the designers behind this unique development are architects Skidmore, Owings & Merrill, the acclaimed practice who created iconic landmarks like Burj Khalifa and Chicago’s Willis Tower. Ontario Tower in Blackwall, London Docklands was completed in 2007, and at the time it was built, the tower was the tallest development in London. It was later joined in 2016 by the taller 43-storey Providence Tower on a neighbouring site. 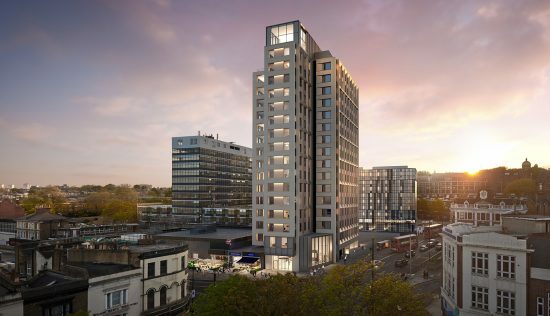 Built by Ballymore to meet the increasing demand for housing in the Docklands area, there are 226 luxury apartments in total as well as being linked to the four-star Radisson Edwardian hotel and its 169 rooms. With this adjoining relationship come a restaurant, private gym, spa and swimming pool which residents are free to use. A 24-hour concierge is also on-hand to handle any everyday tasks and there’s secure parking available for car owners. Ontario Tower is located within walking distance of Canary Wharf, making it a perfect choice for those working in the financial centre. The area’s appeal has risen even more of late thanks to the never-ending stream of new restaurants, shops and nightlife options. And what was once a ghost town at weekends has become a more vibrant spot teeming with life. In terms of public transport, Blackwall DLR is the closest option, while Canary Wharf Tube station (where you can pick up the Jubilee Line to West London) and East India DLR are also within walking distance. International commuters will find the close proximity to London City Airport a bonus. Drivers will find the nearby A12 and A13 useful routes across the capital and beyond. The interiors in the development are a great starting point if you’re keen to add your own identity to the apartment. White walls, light bright spaces, it just needs a personal touch. Of course, being over 10 years old, they’re not the pristine homes you’ll find in newer complexes, but they’re very much workable with the right touch. Open-plan kitchens make them a sociable living space and elements like floor-to-ceiling windows throughout mean the spaces are never short on light. Bedrooms come complete with built-in wardrobes along with ensuite bathrooms in some cases. The building is clad in aluminium and glass, and with its curving profile designed to evoke the image of an ocean liner, projects a post-modern feel. Buyers should also consider Arena Tower and Discovery Dock, which sit at a similar price per square foot.